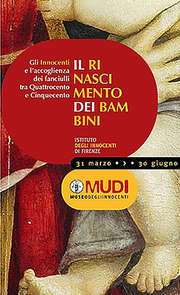 The exhibition Il Rinascimento dei Bambini (The Renaissance of Children) is opening at the Istituto degli Innocenti in Piazza Santissima Annunziata (Florence) on 31 March. Devoted to the foundlings who lived in the institute in the 15th and 16th centuries, the exhibition is on until 30 June. It also offers visitors a chance to admire the building designed by Filippo Brunelleschi, with its harmonious courtyards, arcades and areas created specially for the children�s education. 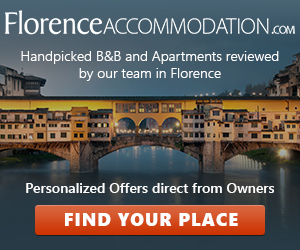 A symbol of Florentine Renaissance architecture, the building is also interesting in figurative art terms: on the fa�ade of the arcade there are glazed terracotta tondi of babies in swaddling clothes by the Della Robbias, while the gallery contains works by Botticelli, Ghirlandaio and other masters. Explanatory panels and information cards describe the everyday life of the young children, who, having been abandoned by their natural parents, grew up in the Spedale, where they were given an education and learnt a profession. Also on display in the exhibition are two large painted terracotta statues by the Della Robbias, depicting the Virgin Mary and Saint Joseph. They give a good idea of the spirit with which the young babies were taken in: the statues were originally positioned on either side of the hole where the baby was left, which was thus symbolically transformed into a new Infant Jesus. The exhibition is theme-based, and traces the history of the Spedale from the time of its foundation, with the help of ancient documents from the institute�s archives. As part of its museum activities, the Galleria degli Innocenti runs drawing and paint workshops (Bottega dei Ragazzi) for children aged 6 to 11. The Bottega also organizes guided tours of the exhibition, by prior booking. Opening hours: weekdays, 8.30am�7pm; Sundays and public holidays, 8.30am�2pm. Admission: � 4.00 (concessions, � 2.50). Further information: telephone 055 2478386 or visit the exhibition website.